IS PRESIDENT OBAMA GOING TO FINALLY REVEAL THE PRESENCE OF ALIENS ON EARTH? CARTER SAW A UFO. EISENHAUER MET WITH ALIENS PERSONALLY! BILL CLINTON WANTED TO DO IT AND THE PENTAGON STOPPED HIM! WHAT ARE THEY ALL ARAID OF? Of course I had to research that quickly. James Vincent Forrestal (February 15, 1892 – May 22, 1949) was the last Cabinet-level United States Secretary of the Navyand the first United States Secretary of Defense. Forrestal was a supporter of naval battle groups centered on aircraft carriers. In 1954, the world's first supercarrier was namedUSS Forrestal in his honor, as is the James V. Forrestal Building, which houses the headquarters of the United States Department of Energy. He is also the namesake of the Forrestal Lecture Series at the United States Naval Academy, which brings prominent military and civilian leaders to speak to the Brigade of Midshipmen, and of the James Forrestal Campus ofPrinceton University in Plainsboro Township, New Jersey. 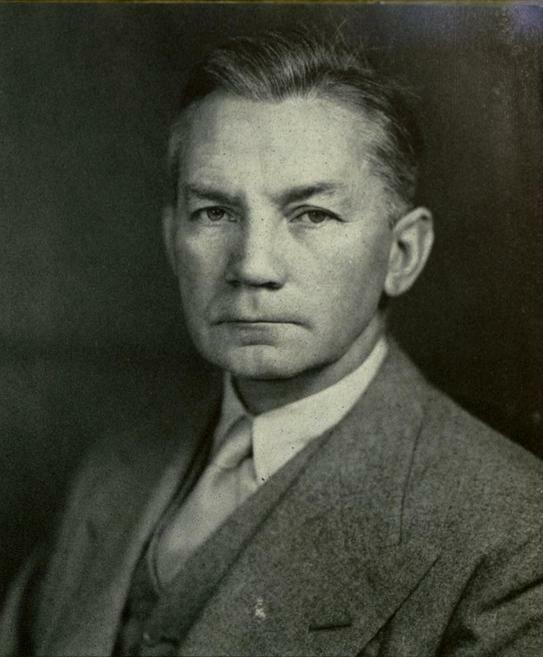 Forrestal was born in Matteawan, New York, (now part of Beacon, New York), the youngest son of James Forrestal, an Irishimmigrant who dabbled in politics. His mother, the former Mary Anne Toohey (herself the daughter of another Irish immigrant) raised him as a devout Roman Catholic..He was an amateur boxer. After graduating from high school at the age of 16, in 1908, he spent the next three years working for a trio of newspapers: the Matteawan Evening Journal, the Mount Vernon Argusand the Poughkeepsie News Press. Forrestal entered Dartmouth College in 1911, but transferred to Princeton University sophomore year. He served as an editor forThe Daily Princetonian. The senior class voted him "Most Likely to Succeed", but he left just prior to completing work on a degree. Forrestal married the former Josephine Stovall (née Ogden), a Vogue writer, in 1926. She eventually developed alcohol and mental problems..
Forrestal went to work as a bond salesman for William A. Read and Company (later renamed Dillon, Read & Co.) in 1916. When the USA entered World War I, he enlisted in the Navy and ultimately became a Naval Aviator, training with the Royal Flying Corps in Canada. During the final year of the war, Forrestal spent much of his time in Washington, D.C., at the office of Naval Operations, while completing his flight training. He eventually reached the rank of Lieutenant. After the war, Forrestal returned to working in finance and made his fortune on Wall Street. He became a partner (1923), vice-president (1926), and president of the company (1937). He also acted as a publicist for the Democratic Party committee in Dutchess County, New York helping politicians from the area win elections at both the state and national level. One of those individuals aided by his work was a neighbor, Franklin D. Roosevelt. President Franklin D. Roosevelt appointed Forrestal a special administrative assistant on June 22, 1940. Six weeks later, he nominated him for the newly established position, Undersecretary of the Navy. In his nearly four years as undersecretary, Forrestal proved highly effective at mobilizing domestic industrial production for the war effort. Chief of Naval Operations, Admiral Ernest J. King, wanted to control logistics and procurement, but Forrestal prevailed. In September 1942, to get a grasp on the reports for material his office was receiving, he made a tour of naval operations in the Southwest Pacific and a stop at Pearl Harbor. Returning to Washington, D.C., he made his report to President Roosevelt, Secretary of War Henry L. Stimson, and the cabinet. In response to Forrestal's elevated request that material be sent immediately to the Southwest Pacific area, Stimson (who was more concerned with supplying Operation Torch in North Africa), told Forrestal, "Jim, you've got a bad case of localitis." Forrestal shot back in a heated manner, "Mr. Secretary, if the Marines on Guadalcanal were wiped out, the reaction of the country will give you a bad case of localitis in the seat of your pants". He became Secretary of the Navy on May 19, 1944, after his immediate superior Secretary Frank Knox died from a heart attack. Forrestal led the Navy through the closing year of the war and the painful early years of demobilization that followed. As Secretary, Forrestal introduced a policy of racial integration in the Navy. Forrestal traveled to combat zones to see naval forces in action. He was in the South Pacific in 1942, present at the Battle of Kwajalein in 1944, and (as Secretary) witnessed the Battle of Iwo Jima in 1945. After five days of pitched battle, a detachment of Marines was sent to hoist the American flag on the 545-foot summit of Mount Suribachi on Iwo Jima. This was the first time in the war that the U.S. flag had flown on Japanese soil. Forrestal, who had just landed on the beach, claimed the historic flag as a souvenir. A second, larger flag was run up in its place, and this second flag-raising was the moment captured by Associated Press photographer Joe Rosenthal in his famous photograph. Forrestal, along with Secretary of War Henry Stimson and Under Secretary of State Joseph Grew, in the early months of 1945, strongly advocated a softer policy toward Japan that would permit a negotiated armistice, a 'face-saving' surrender. Forrestal's primary concern was not the resurgence of a militarized Japan, but rather "the menace of Russian Communism and its attraction for decimated, destabilized societies in Europe and Asia," and, therefore, keeping the Soviet Union out of the war with Japan. So strongly did he feel about this matter that he cultivated negotiation efforts that some regarded as approaching insubordination. His counsel on ending the war was finally followed, but not until the atomic bombs had been dropped on Hiroshima and Nagasaki. The day after the Nagasaki attack, the Japanese sent out a radio transmission saying that it was ready to accept the terms of the allies' Potsdam Declaration, “with the understanding that said declaration does not comprise any demand which prejudices the prerogatives of His Majesty as a sovereign ruler.” That position still fell short of the U.S. "unconditional surrender" demand, retaining the sticking point that had held up the war's conclusion for months. Strong voices within the administration, including Secretary of State James Byrnes, counseled fighting on. At that point, "Forrestal came up with a shrewd and simple solution: Accept the offer and declare that it accomplishes what the Potsdam Declaration demanded. Say that the Emperor and the Japanese government will rule subject to the orders of the Supreme Commander for the Allied Powers. This would imply recognition of the Emperor while tending to neutralize American public passions against the Emperor. Truman liked this. It would be close enough to 'unconditional.'" After the war, Forrestal urged Truman to take a hard line with the Soviets over Poland. He also strongly influenced the new Wisconsin Senator, Joseph McCarthy, concerning infiltration of the government by Communists. Upon McCarthy's arrival in Washington in December 1946, Forrestal invited him to lunch. In McCarthy's words, "Before meeting Jim Forrestal I thought we were losing to international Communism because of incompetence and stupidity on the part of our planners. I mentioned that to Forrestal. I shall forever remember his answer. He said, 'McCarthy, consistency has never been a mark of stupidity. If they were merely stupid, they would occasionally make a mistake in our favor.' This phrase struck me so forcefully that I have often used it since." In 1947, President Harry S. Truman appointed him the first United States Secretary of Defense. Forrestal continued to advocate for complete racial integration of theservices, a policy eventually implemented in 1949. "...no group in this country should be permitted to influence our policy to the point it could endanger our national security." Forrestal's statement soon earned him the active enmity of some congressmen and supporters of Israel. Forrestal was also an early target of the muckraking columnist and broadcaster Drew Pearson, an opponent of foreign policies hostile to the Soviet Union, who began to regularly call for Forrestal's removal after President Truman named him Secretary of Defense. Pearson told his own protege, Jack Anderson, that he believed Forrestal was "the most dangerous man in America" and claimed that if he was not removed from office, he would "cause another world war." Upon taking office as Secretary of Defense, Forrestal was surprised to learn that the administration did not budget for defense needs based on military threats posed by enemies of the United States and its interests. According to historian Walter LaFeber, Truman was known to approach defense budgetary requests in the abstract, without regard to defense response requirements in the event of conflicts with potential enemies. The president would begin by subtracting from total receipts the amount needed for domestic needs and recurrent operating costs, with any surplus going to the defense budget for that year. The Truman administration's willingness to slash conventional readiness needs for the Navy and Marine Corps soon caused fierce controversies within the upper ranks of their respective branches. During the Reagan years, Paul Nitze reflected upon the qualities which made a Secretary of Defense great: the ability to work with Congress, the ability at "big-time management," and an ability at war planning. Nitze felt that Forrestal was the only one who possessed all three qualities together. At the close of World War II, millions of dollars of serviceable equipment had been scrapped or abandoned rather than having funds appropriated for its storage costs. New military equipment en route to operations in the Pacific theater was scrapped or simply tossed overboard. Facing the wholesale demobilization of most of the US defense force structure, Forrestal resisted President Truman's efforts to substantially reduce defense appropriations, but was unable to prevent a steady reduction in defense spending, resulting in major cuts not only in defense equipment stockpiles, but also in military readiness. By 1948, President Harry Truman had approved military budgets billions of dollars below what the services were requesting, putting Forrestal in the middle of a fierce tug-of-war between the President and the Joint Chiefs of Staff. Forrestal was also becoming increasingly worried about the Soviet threat. His 18 months at Defense came at an exceptionally difficult time for the U.S. military establishment: Communist governments came to power in Czechoslovakia and China; the Soviets imposed a blockade on West Berlin prompting the U.S. Berlin Airlift to supply the city; the 1948 Arab–Israeli War followed the establishment of Israel; and negotiations were going on for the formation of NATO. Dwight D. Eisenhower recorded he was in agreement with Forrestal's theories on the dangers of Soviet and International communist expansion. Eisenhower recalled that Forrestal had been "the one man who, in the very midst of the war, always counseled caution and alertness in dealing with the Soviets." Eisenhower remembered on several occasions, while he was Supreme Allied Commander, he had been visited by Forrestal, who carefully explained his thesis that the Communists would never cease trying to destroy all representative government. Eisenhower commented in his personal diary on 11 June 1949, "I never had cause to doubt the accuracy of his judgments on this point." Forrestal also opposed the unification of the military services proposed by the Truman officials. Even so, he helped develop the National Security Act of 1947 that created theNational Military Establishment (the Department of Defense was not created as such until August 1949). With the former Secretary of War Robert P. Patterson retiring to private life, Forrestal was the next choice. Governor of New York Thomas E. Dewey was expected to win the presidential elections of 1948. Forrestal met with Dewey privately and it was agreed, he would continue as Secretary of Defense under a Dewey administration. Unwittingly, Forrestal would trigger a series of events that would not only undermine his already precarious position with President Truman but would also contribute to the loss of his job, his failing health, and eventual demise. Weeks before the election, Pearson published an exposé of the meetings between Dewey and Forrestal. In 1949, angered over Forrestal's continued opposition to his defense economization policies, and concerned about reports in the press over his mental condition, Truman abruptly asked Forrestal to resign. By March 31, 1949, Forrestal was out of a job. He was replaced by Louis A. Johnson, an ardent supporter of Truman's defense retrenchment policy. 1st week: narcosis with sodium amytal. 2nd – 5th weeks: a regimen of insulin sub-shock combined with psycho-therapeutic interviews. According to Dr. Raines, the patient overreacted to the insulin much as he had the amytal and this would occasionally throw him into a confused state with a great deal of agitation and confusion. 4th week: insulin administered only in stimulating doses; 10 units of insulin four times a day, morning, noon, afternoon and evening. According to Dr. Raines, "We considered electro-shock but thought it better to postpone it for another 90 days. In reactive depression if electro-shock is used early and the patient is returned to the same situation from which he came there is grave danger of suicide in the immediate period after they return... so strangely enough we left out electro-shock to avoid what actually happened anyhow". Although Forrestal told associates he had decided to resign, he was shattered when Truman abruptly asked for his resignation. His letter of resignation was tendered on March 28, 1949. On the day of his resignation from office, he was reported to have gone into a strange daze and was flown on a Navy airplane to the estate of Under Secretary of State Robert A. Lovett in Hobe Sound, Florida, where Forrestal's wife, Josephine, was vacationing. Dr. William C. Menninger of the Menninger Clinic in Kansas was consulted and he diagnosed "severe depression" of the type "seen in operational fatigue during the war." The Menninger Clinic had successfully treated similar cases during World War II, but Forrestal's wife Josephine, his friend and associate Ferdinand Eberstadt, Dr. Menninger and Navy psychiatrist Captain Dr. George N. Raines decided to send the former Secretary of Defense to the National Naval Medical Center (NNMC) in Bethesda, Maryland, where it would be possible to deny his mental illness. He was checked into NNMC five days later. The decision to house him on the 16th floor instead of the first floor was justified in the same way. Forrestal's condition was officially announced as "nervous and physical exhaustion," his lead doctor, Captain Raines, diagnosing his condition as "depression" or "reactive depression." As a person who prized anonymity and once stated that his hobby was "obscurity," Forrestal and his policies had been the constant target of vicious personal attacks from columnists, including Drew Pearson and Walter Winchell. Pearson's protégé, Jack Anderson, later asserted that Pearson "hectored Forrestal with innuendos and false accusations." That the body found on the ledge outside of room three eighty-four of building one of the National Naval Medical Center at one-fifty a.m. and pronounced dead at one fifty-five a.m., Sunday, May 22, 1949, was identified as that of the late James V. Forrestal, a patient on the Neuropsychiatric Service of the U. S. Naval Hospital, National Naval Medical Center, Bethesda, Maryland. That the late James V. Forrestal died on or about May 22, 1949, at the National Naval Medical Center, Bethesda, Maryland, as a result of injuries, multiple, extreme, received incident to a fall from a high point in the tower, building one, National Naval Medical Center, Bethesda, Maryland. That the behavior of the deceased during the period of his stay in the hospital preceding his death was indicative of a mental depression. That the treatment and precautions in the conduct of the case were in agreement with accepted psychiatric practice and commensurate with the evident status of the patient at all times. That the death was not caused in any manner by the intent, fault, negligence or inefficiency of any person or persons in the naval service or connected therewith. James Forrestal is buried in Section 30 Lot 674 Grid X-39 of Arlington National Cemetery. Doubts have existed from the beginning about Forrestal's death, especially allegations of homicide. The early doubts are detailed in the book The Death of James Forrestal (1966) by Cornell Simpson, which received virtually no publicity. As Simpson notes (pp. 40–44), a major reason for doubt is the fact that the Navy kept the full transcript of its official hearing and final report secret. Additional doubt has been raised by the 2004 release of that complete report, informally referred to as the Willcutts Report, obtained by researcher David Martin through use of the Freedom of Information Act. The name refers to Admiral Morton D. Willcutts, the head of NNMC, who convened the review board. There were unsubstantiated reports in the press of paranoia and of involuntary commitment to the hospital, as well as suspicions about the detailed circumstances of his death, which have fed a variety of conspiracy theories as well as legitimate questions. If it is Forrestal's handwriting in the poem, according to some intelligence sources, then he could not scribble the word "nightingale" in the poem because it was the code name of the Ukrainian Nazi elite unit Nachtigall Brigade which Forrestal had helped to smuggle to the United States to supplant Kim Philby's failed ABN (Anti Bolshevik Nationals), an MI6 Soviet émigré fascist group. There was also broken glass found on Forrestal's bed, a fact that had not been previously reported. Theories as to who might have murdered Forrestal range from Zionist or Soviet agents to U.S. government operatives sent to silence him for his knowledge of UFOs. Forrestal's single known public statement regarding pressure from interest groups, and his cabinet position opposing the partition of Palestine has been significantly magnified by later critics into a portrayal of Forrestal as a dedicated anti-Zionist who led a concerted campaign to thwart the cause of the Jewish people in Palestine. These critics tend to characterize Forrestal as a mentally unhinged individual, a hysteric with deep anti-Zionist and anti-Jewish feelings. Forrestal himself maintained that he was being shadowed by "foreign men," which some critics and authors quickly interpreted to mean either Soviet NKVD agents or proponents of Zionism. Author Arnold Rogow supported the theory that Forrestal committed suicide over fantasies of being chased by Zionist agents, largely relying on information obtained in interviews conducted with some of Forrestal's fiercest critics inside and outside the Truman administration. "While those beliefs reflect the fact that Forrestal was a very ill man in March 1949, it is entirely possible that he was 'shadowed' by Zionist agents in 1947 and 1948. A close associate of his at the time recalls that at the height of the Palestine controversy, his (the associate's) official limousine was followed to and from his office by a blue sedan containing two men. When the police were notified and the sedan apprehended, it was discovered that the two men were photographers employed by a Zionist organization. They explained to the police that they had hoped to obtain photographs of the limousine's occupant entering or leaving an Arab embassy in order to demonstrate that the official involved was in close contact with Arab representatives." Columnists Drew Pearson and Walter Winchell led a press campaign—which many would today find libelous—against Forrestal to make him appear paranoid. But official evaluations of his psychiatric state never mentioned paranoia. One of Pearson's most spectacular claims was that at Hobe Sound, Florida, shortly before he was hospitalized, Forrestal was awakened by a siren in the middle of the night and ran out into the street exclaiming, "The Russians are attacking." No one who was there that night confirmed this claim. Captain George Raines, the Navy doctor in charge of Forrestal's treatment, called it an outright fabrication. The first US ambassador to Israel James G. McDonald writing in 1951 describes the attacks on Forrestal as "unjustifiable", "persistent and venomous" and "among the ugliest example of the willingness of politicians and publicists to use the vilest means—in the name of patriotism—to destroy self-sacrificing and devoted public servants." His diaries from 1944 to March 1949 were serialised in the New York Herald Tribune in 1951, and published as a 581-page book The Forrestal Diaries, edited by Walter Millisin October 1951. They were censored prior to publication. Adam Matthew Publications Ltd publishes a micro-film of the complete and unexpurgated diaries from the originals preserved in the Seeley G Mudd Manuscript Library, Princeton University. An example of censorship is the removal of the following account of a conversation with Truman: "He referred to Hitler as an egomaniac. The result is we shall have a Slav Europe for a long time to come. I don't think it is so bad." The James V. Forrestal Building in Washington, D.C., completed in 1969, is named for him. In the 1994 television movie, Roswell, Forrestal is portrayed by Eugene Roche. He is depicted as sitting on a commission concerning the Roswell UFO incident and advocating the eventual release of information to the public. The film treats his death and classified diary as highly suspicious. An opera concerning the conspiracy theories behind Forrestal's death, Nightingale: The Last Days of James Forrestal composed by Evan Hause with a libretto by Gary Heidt, premiered in New York City at the Present Company Theatorium on May 19, 2002. In The Golden Age, a DC Comics Elseworlds "imaginary story", 4-issue prestige format mini-series by James Robinson (writer) and Paul Smith (artist), Forrestal's death is shown to have been a murder. Forrestal is pushed from the window of his Bethesda Naval Hospital room by the Golden Age Robotman. In the PC game Area 51 one of the secret documents the player can collect talks about the Majestic 12 initiative being threatened with "receiving the same punishment as his last secretary, Forrestal", implying the murder of Forrestal was an alien conspiracy to cover his operation from the public. In the Anime OVA series Mobile Suit Gundam 0083: Stardust Memory, a secret document is briefly viewable in the eighth episode that mentions the death of a Secretary Forrestal. It goes on to say that a "vacancy" was left due to his death until he was replaced by an unnamed general. In the 2002 HBO TV movie Path to War, Secretary of Defense Robert McNamara (portrayed by Alec Baldwin) hauntingly recounts the story of James Forrestal's dismissal and suicide to speechwriter Richard Goodwin (portrayed by James Frain). The story of James Forrestal is prominently featured in Chapter 4 of the Oliver Stone popular documentary series Oliver Stone's Untold History of the United States which aired on Showtime in 2012–13. NOTE: MANY PEOPLE WERE INVOLVED IN THE CLEAN UP OF THE ROSWELL CRASHES, WHICH WERE CAUSED BY OUR OWN GOVERNMENT'S SCIENTIFIC TECHNOLOGY OF THE TIME ACCORDING TO EXPERTS ON THAT TOPIC. MANY MILITARY WORKED ON CLEANING UP THE DEBRIS AMD MOVING THE BODIES FOR LONG TIME STORAGE AT ANOTHER AIR BASE. This page uses content from the Philip Schneider biography page on the English version ofWikipedia and is licensed under the GNU Free Documentation License. IT WAS CLAIMED THAT PHIL SCHNEIDER COMMITTED SUICDE. IF YOU READ THE DETAILS, YOU KNOW IT WAS NOT - ANY MORE THAN FORRESTALS WAS A SUICE. BEING SUICIDED IS A COMMON PRACTICE TO SHUT PEOPLE UP. IT'S TIME TO JOIN THE REST OF THE WORLD WITH THE TRUTH. IN 1960, OUR WHOLE NEIGHBOTHOOD WAS WITNESSING UFOS HOVERING JUST OVER TREE TOP LEVEL. MY WHOLE FAMILY WITNESSED ONE GOING OVERHEAD ON THE 4TH OF JULY, AND IT WAS LARGE, NOT JUST A PIN POINT LIGHT IN THE SKY. MY SISTER ALSO SAW IT FROM ANOTHER VANTAGE POINT. THE NEXT DAY HUNDREDS OF PEOPLE SAW A UFO DIVE INTO LAKE MICHIGAN AND NOT COME UP AGAIN. An unidentified flying object, or UFO, in its most general definition, is any apparent anomaly in the sky that is not identifiable as a known object or phenomenon. Culturally, UFOs are associated with claims of visitation by extraterrestrial life or government-relatedconspiracy theories, and have become popular subjects in fiction. While UFOs are often later identified, sometimes identification may not be possible owing to the usually low quality of evidence related to UFO sightings (generally anecdotal evidence and eyewitness accounts). During the late 1940s and through the 1950s, UFOs were often referred to popularly as "flying saucers" or "flying discs". The term UFO became more widespread during the 1950s, at first in technical literature, but later in popular use. UFOs garnered considerable interest during the Cold War, an era associated with a heightened concern for national security. Various studies have concluded that the phenomenon does not represent a threat to national security nor does it contain anything worthy of scientific pursuit (e.g., 1951Flying Saucer Working Party, 1953 CIA Robertson Panel, USAF Project Blue Book, Condon Committee). The phrase "flying saucer" had gained widespread attention after the summer of 1947. On June 24, a civilian pilot named Kenneth Arnold reported seeing nine objects flying in formation near Mount Rainier. Arnold timed the sighting and estimated the speed of discs to be over 1,200 mph (1,931 km/h). At the time, he described the objects' shape as being somewhat disc-like or saucer-like, leading to newspaper accounts of "flying saucers" and "flying discs"
In popular usage the term UFO came to be used to refer to claims of alien spacecraft. and because of the public and media ridicule associated with the topic, some investigators prefer to use such terms as unidentified aerial phenomenon (or UAP) or anomalous phenomena, as in the title of the National Aviation Reporting Center on Anomalous Phenomena (NARCAP). THE BIBLE TALKS ABOUT 'FALLEN ANGELS" WHICH ARE CLEARLY ALIEN BEINGS WITH REAL FLESH BODIES. In April 1897 thousands of people reported seeing "airships" in various parts of the United States. Many signed affidavits. Scores of people even reported talking to the pilots. Thomas Edison was asked his opinion, and said, "You can take it from me that it is a pure fake." On February 28, 1904, there was a sighting by three crew members on the USS Supply 300 miles (483 km) west of San Francisco, reported by Lieutenant Frank Schofield, later to become Commander-in-Chief of the Pacific Battle Fleet. Schofield wrote of three bright red egg-shaped and circular objects flying in echelon formationthat approached beneath the cloud layer, then changed course and "soared" above the clouds, departing directly away from the earth after two to three minutes. The largest had an apparent size of about six Suns, he said. 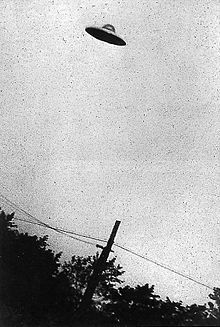 The three earliest known pilot UFO sightings, of 1,305 similar sitings cataloged by NARCAP, took place in 1916 and 1926. On January 31, 1916, a UK pilot near Rochfordreported a row of lights, resembling lighted windows on a railway carriage, that rose and disappeared. In January 1926 a pilot reported six "flying manhole covers" between Wichita, Kansas, and Colorado Springs, Colorado. In late September 1926 an airmail pilot over Nevada said he had been forced to land by a huge, wingless, cylindrical object. On August 5, 1926, while traveling in the Humboldt Mountains of Tibet's Kokonor region, Russian explorer Nicholas Roerich reported, members of his expedition saw "something big and shiny reflecting the sun, like a huge oval moving at great speed. Crossing our camp the thing changed in its direction from south to southwest. And we saw how it disappeared in the intense blue sky. We even had time to take our field glasses and saw quite distinctly an oval form with shiny surface, one side of which was brilliant from the sun." Another description by Roerich was of a "shiny body flying from north to south. Field glasses are at hand. It is a huge body. One side glows in the sun. It is oval in shape. Then it somehow turns in another direction and disappears in the southwest." In 1946 more than 2,000 reports were collected, primarily by the Swedish military, of unidentified aerial objects over the Scandinavian nations, along with isolated reports from France, Portugal, Italy and Greece. The objects were referred to as "Russian hail" and later as "ghost rockets" because it was thought that the mysterious objects were possibly Russian tests of captured German V1 or V2 rockets. Although most were thought to be such natural phenomena as meteors, more than 200 were tracked on radar by the Swedish military and deemed to be "real physical objects." In a 1948 top secret document, Swedish authorities advised the USAF Europe that some of their investigators believed these craft to be extraterrestrial in origin. Project Sign was dismantled and became Project Grudge at the end of 1948. Angered by the low quality of investigations by Grudge, the Air Force Director of Intelligence reorganized it as Project Blue Book in late 1951, placing Ruppelt in charge. Blue Book closed down in 1970, using the Condon Committee's negative conclusion as a rationale, thus ending official Air Force UFO investigations. However, a 1969 USAF document, known as the Bolender memo, along with later government documents, revealed that non-public U.S. government UFO investigations continued after 1970. The Bolender memo first stated that "reports of unidentified flying objects that could affect national security ... are not part of the Blue Book system," indicating that more serious UFO incidents already were handled outside the public Blue Book investigation. The memo then added, "reports of UFOs which could affect national security would continue to be handled through the standard Air Force procedures designed for this purpose." In addition, in the late 1960s a chapter on UFOs in the Space Sciences course at the U.S. Air Force Academy gave serious consideration to possible extraterrestrial origins. When word of the curriculum became public, the Air Force in 1970 issued a statement to the effect that the book was outdated and that cadets instead were being informed of the Condon Report's negative conclusion. Some public government reports have acknowledged the possibility of physical reality of UFOs, but have stopped short of proposing extraterrestrial origins, though not dismissing the possibility entirely. Examples are the Belgian military investigation into large triangles over their airspace in 1989–1991 and the 2009 Uruguayan Air Forcestudy conclusion (see below). Following the large U.S. surge in sightings in June and early July 1947, on July 9, 1947, United States Army Air Forces (USAAF) intelligence, in cooperation with the FBI,began a formal investigation into selected sightings with characteristics that could not be immediately rationalized, which included Kenneth Arnold's and that of the United Airlines crew. The USAAF used "all of its top scientists" to determine whether "such a phenomenon could, in fact, occur." The research was "being conducted with the thought that the flying objects might be a celestial phenomenon," or that "they might be a foreign body mechanically devised and controlled." Three weeks later in a preliminary defense estimate, the air force investigation decided that, "This 'flying saucer' situation is not all imaginary or seeing too much in some natural phenomenon. Something is really flying around." Eight file collections on UFO sightings, dating from 1978 to 1987, were first released on May 14, 2008, to The National Archives by the Ministry of Defence (MoD).Although kept secret from the public for many years, most of the files have low levels of classification and none are classified Top Secret. 200 files are set to be made public by 2012. The files are correspondence from the public sent to the British government and officials, such as the MoD and Margaret Thatcher. The MoD released the files under the Freedom of Information Act due to requests from researchers. These files include, but are not limited to, UFOs over Liverpool and the Waterloo Bridge in London. A secret study of UFOs was undertaken for the Ministry of Defence between 1996 and 2000 and was code-named Project Condign. The resulting report, titled "Unidentified Aerial Phenomena in the UK Defence Region", was publicly released in 2006, but the identity and credentials of whomever constituted Project Condign remains classified. The report confirmed earlier findings that the main causes of UFO sightings are misidentification of man-made and natural objects. The report noted: "No artefacts of unknown or unexplained origin have been reported or handed to the UK authorities, despite thousands of Unidentified Aerial Phenomena reports. There are no SIGINT,ELINT or radiation measurements and little useful video or still IMINT." It concluded: "There is no evidence that any UAP, seen in the UKADR [UK Air Defence Region], are incursions by air-objects of any intelligent (extraterrestrial or foreign) origin, or that they represent any hostile intent." A little-discussed conclusion of the report was that novel meteorological plasma phenomenon akin to ball lightning are responsible for "the majority, if not all" of otherwise inexplicable sightings, especially reports of black triangle UFOs. In 2000, Italian ufologist Roberto Pinotti published material regarding the so-called "Fascist UFO Files", which dealt with a flying saucer that had crashed near Milan in 1933 (some 14 years before the Roswell, New Mexico, crash), and of the subsequent investigation by a never mentioned before Cabinet RS/33, that allegedly was authorized byBenito Mussolini, and headed by the Nobel scientist Guglielmo Marconi. A spaceship was allegedly stored in the hangars of the SIAI Marchetti in Vergiate near Milan. Julius Obsequens was a Roman writer who is believed to have lived in the middle of the fourth century AD. The only work associated with his name is the Liber de prodigiis(Book of Prodigies), completely extracted from an epitome, or abridgment, written by Livy; De prodigiis was constructed as an account of the wonders and portents that occurred in Rome between 249 BC-12 BC. An aspect of Obsequens' work that has inspired much interest in some circles is that references are made to things moving through the sky. These have been interpreted as reports of UFOs, but may just as well describe meteors, and, since Obsequens, probably, writes in the 4th century, that is, some 400 years after the events he describes, they hardly qualify as eye-witness accounts. While technically a UFO refers to any unidentified flying object, in modern popular culture the term UFO has generally become synonymous with alien spacecraft;however, the term ETV (ExtraTerrestrial Vehicle) is sometimes used to separate this explanation of UFOs from totally earthbound explanations. Radar contact and tracking, sometimes from multiple sites. These have included military personnel and control tower operators, simultaneous visual sightings, and aircraft intercepts. One such example were the mass sightings of large, silent, low-flying black triangles in 1989 and 1990 over Belgium, tracked by NATO radar and jet interceptors, and investigated by Belgium's military (included photographic evidence). Another famous case from 1986 was the Japan Air Lines flight 1628 incidentover Alaska investigated by the Federal Aviation Administration (FAA). Claims of physical trace of landing UFOs, including ground impressions, burned and/or desiccated soil, burned and broken foliage, magnetic anomalies increased radiation levels, and metallic traces. (See, e. g. Height 611 UFO incident or the 1964 Lonnie Zamora's Socorro, New Mexico encounter of the USAF Project Blue Book cases.) A well-known example from December 1980 was the USAF Rendlesham Forest incident in England. Another occurred in January 1981 in Trans-en-Provence and was investigated by GEPAN, then France's official government UFO-investigation agency. Project Blue Book head Edward J. Ruppelt described a classic 1952 CE2 case involving a patch of charred grass roots. Popular UFO classification systems include the Hynek system, created by J. Allen Hynek, and the Vallée system, created by Jacques Vallee. Hynek's system involves dividing the sighted object by appearance, subdivided further into the type of "close encounter" (a term from which the film director Steven Spielbergderived the title of his 1977 UFO movie, Close Encounters of the Third Kind). One example is the response to local beliefs that "extraterrestrial beings" in UFOs were responsible for crop circles appearing in Indonesia, which the government and theNational Institute of Aeronautics and Space (LAPAN) described them as "man-made". Thomas Djamaluddin, research professor of astronomy and astrophysics at Lapan stated: "We have come to agree that this 'thing' cannot be scientifically proven. Scientists have put UFOs in the category of pseudoscience." The Ummo affair, a decades-long series of detailed letters and documents allegedly from extraterrestrials. The total length of the documents is at least 1,000 pages, and some estimate that further undiscovered documents may total nearly 4000 pages. A José Luis Jordan Pena came forward in the early 1990s claiming responsibility for the phenomenon, and most[who?] consider there to be little reason to challenge his claims. George Adamski over the space of two decades made various claims about his meetings with telepathic aliens from nearby planets. He claimed that photographs of thefar side of the Moon taken by the Soviet lunar probe Luna 3 in 1959 were fake, and that there were cities, trees and snow-capped mountains on the far side of the Moon. Among copycats was a shadowy British figure named Cedric Allingham. Warren William "Billy" Smith is a popular writer and confessed hoaxster. UFOs constitute a widespread international cultural phenomenon of the last 60 years. Gallup Polls rank UFOs near the top of lists for subjects of widespread recognition. In 1973, a survey found that 95 percent of the public reported having heard of UFOs, whereas only 92 percent had heard of U.S. President Gerald Ford in a 1977 poll taken just nine months after he left the White House. A 1996 Gallup Poll reported that 71 percent of the United States population believed that the U.S. government was covering up information regarding UFOs. A 2002 Roper Poll for the Sci-Fi Channel found similar results, but with more people believing that UFOs are extraterrestrial craft. In that latest poll, 56 percent thought UFOs were real craft and 48 percent that aliens had visited the Earth. Again, about 70 percent felt the government was not sharing everything it knew about UFOs or extraterrestrial life. In the film Yellow Submarine, Ringo states that the yellow submarine that is following him "must be one of them unidentified flying cupcakes." Another effect of the flying saucer type of UFO sightings has been Earth-made flying saucer craft in space fiction, for example the United Planets Cruiser C57D in Forbidden Planet (1956), the Jupiter 2 in Lost in Space, and the saucer section of the USS Enterprisein Star Trek, and many others. Jump up^ For example, the USAF's Project Blue Book concluded that less than 2 % of reported UFOs were "psychological" or hoaxes; Allan Hendry's study for CUFOS had less than 1 %. Jump up^ For example, current USAF general reporting procedures are in Air Force Instruction (AFI)10-206. Section 5.7.3 (p. 64) lists sightings of "unidentified flying objects" and "aircraft of unconventional design" as separate categories from potentially hostile but conventional, unidentified aircraft, missiles, surface vessels, or submarines. Additionally, "unidentified objects" detected by missile warning systems, creating a potential risk of nuclear war, are covered by Rule 5E (p.35). Jump up^ Many of these documents are now online at the FOIA websites of these agencies such as the FBI FOIA site at the Wayback Machine (archived May 24, 2008), as well as private websites such as The Black Vault, which has an archive of several thousand U.S. government UFO-related documents from the USAF, Army, CIA, DIA, DOD, and NSA. Jump up^ The so-called Twining memo of Sept. 23, 1947, by future USAF Chief of Staff, General Nathan Twining, specifically recommended intelligence cooperation with the Army, Navy,Atomic Energy Commission, the Defense Department's Joint Research and Development Board, Air Force Scientific Advisory Board, National Advisory Committee for Aeronautics (NACA), Project RAND, and the Nuclear Energy for the Propulsion of Aircraft (NEPA) project. Jump up^ See, e.g., the 1976 Tehran UFO incident where a Defense Intelligence Agency report on the event had a distribution list that included the White House, Secretary of State, Joint Chiefs of Staff, National Security Agency (NSA), and Central Intelligence Agency (CIA). Several thousand UFO-related pages of more recent vintage from the CIA, NSA, DIA, and other agencies have also been released and can be viewed online. Extraterrestrials and UFO's. Extraterrestrial Life & UFOs Ezekiel. ... UFO dictionary ufos &extraterrestrials: Why They Are Here. UFOS/Aliens from about.com Guide. ALIENS AT THE VATICAN "Whatever those remains represent, there's a reason why the good fathers buried them there to be forgotten." Alien Remains Found At The Vatican. DREAMS OF ALIENS AND UFOS. 8-23-89 DREAM: I was sitting in a restaurant waiting for dinner to be served. It was twilight and I was sitting by the window. LATEST UFO AND ALIEN NEWS. Updated 5-9-01. Be sure to refresh your page to be sure you have the latest page. ALIEN ZOO NEWS. ... Military Denies UFOs Alien Energy? argentina database. compiled by dee finney ~~~~~ ufo abducts 4 children! kids taken on three-day tour of galaxy - then brought safely back to earth! Abducted by Aliens: Twins Tell Their Story. Audrey and Debbie not only said that aliens exist, but that they've made contact with them. The UFO reporting, investigating, and education website for Wisconsin. personal abduction accounts special ufo reports . text files to print. or. ... ufos continue to visit nuclear energy sites. ufos, ebes - more insider evidence. SCOTLAND UFO INVESTIGATION. THE SMOKING GUN PICS? 6-25-2001. updated 6-27-01. udated 8-9-2001 - See Film at end of page. 5:15 p.m. 6-25-2001 GREATDREAMS: Hi: I got .. This article tells of several UFO stories in which symbols are analyzed. ufo sightings. beach, north dakota. jim deardorff sightings. ... ufos seen from aircraft carrier - 1952. wallkill, n.y. by dr. bruce cornett. 14 back to ufo index. ... This is Elaine Douglass, WOL News-talk Network, our show is UFOS Saturday night and here in the studio with Keith Morgan and our topic is the Face on Mars. UFOS AND ABDUCTION P We are also aware that on our plane, on this planet, there are forces involved which we have to deal with because they're here. Dear Friends, Will 2003 be the Year of the Alien? Saturday October 26th, 2002 . 2003 could bring some dramatic changes in the way we perceive the UFO phenomenon. UFOR: Balducci 1,Russo 0. Date: 98-04-24 . From: ... signore Russo admits that Monsignor Balducci has declared that UFOs and extraterrestrial contacts are real. UFO. INVESTIGATORS, RESEARCHERS, AND PEOPLE. ... Townsend Brown - Anti-Gravity and UFOs. Glenn Campbell Glenn Campbell - The Groom Lake Desert Rat. Dr Mark Carlotto. WHAT DO THE REPTILIANS LOOK LIKE? King Leo: A Message - ... The Reptilian Aliens which are called Reptoids are proportional in size to modern humans. NASA Hacker Says There's a UFO Coverup ... says that he saw proof that NASA airbrushesUFOs out of satellite and shuttle photographs to maintain a coverup. THE CSETI PROJECT STARLIGHT DISCLOSURE STRATEGY: UPDATE AND CLARIFICATION. 8 April 1998. ... The disclosure of the reality of UFOs and ETI is no small matter. Ask the ETs by Lisette Larkins Dear Friend, You may remember me as the author of the book, Talking to Extraterrestrials, Communicating with Enlightened Beings. WAR IN HEAVEN - 8-20-2015 VISION. I saw a full sheet of newspaper with a black, white and grey drawing on the front of what looked like a drawing of UFOS at war. AIR FORCE BASES. MISSILE BASES. ... The following contains descriptions of all the major AIR FORCE BASES AND MISSILE LAUNCHING BASES related to UFOs past and present. Do you understand why they need to cover up the existence of UFOs. They have no control over them. HAARP transmissions are being cranked up to previously unknown and untested levels, ... 1999-2001, many UFOs were hindering the flights of aircraft in Mexico. THE LECERTA FILE 04/22/2000 Comment from Christian Pfeiler ... Triangular UFOs belong generally to your own military but they use foreign technology to build them. DREAMS OF SKY EVENTS. ... like a lightning bolt would strike from the sky to the ground. ... "You don't believe in UFOs?" Look at that!" Zeta 2 Reticuli is a member of a wide double star system. ... I brought that Zeta Reticuliissue up eons ago over the SERPO Story but 116 people complained. conspiracies. the biggest conspiracy of all time. ... ufos conspiracy: un taking over us: waco fire coverup. ruby ridge and gun control: weapons: miscellaneous unsorted. moon anomalies . dee f\finney's blg. start date july 20, 2011. today's date september 26, 2011. page 48. topic: what did we miss on the moon when apollo flew there? DEE AND JOE DISCUSS JOHN LEAR'S INTERVIEW WITH ART BELL. THE INTERVIEW BETWEEN ART BELL AND JOHN LEAR. 11-2-03. Dee: I don't know if I believe it all. Interview with Dr. John E.Mack-October 2002 Source: SciFi.com http://prod.scifi.com/transcripts/2002/drjmack1023.html SCIFIMOD: Hi everyone, thanks for joining us here. all about 2012. photo taken during equinox drum ceremony. on 12-21-12 in florida, usa. the world ended for the mayans at sunrise. are you still here with me? Dee Finney's blog. start date July 20, 2011. today's date January 19, 2013. page 427. TOPIC:PROJECT GASBUGGY - NUCLEAR TESTING IN THE U.S.